These tanks came to us covered in rust. Our objectives were to blast to an SSPC10 Near white metal in order to prep the surface for the coatings specced by our clients. When these tanks arrived, all surfaces were covered with a heavy layer of rust and mill scale that needed to be removed. After the surface was prepped to the standard, Blast It Clean applied a Sherwin Williams coating system which included a Zinc Primer, Macropoxy 646, which acted as the Intermediate Coat, and an Acrolyon HS 218 for the finishing top coat. For this project, we chose Black Beauty coal slag as our blasting media. Black Beauty coal slag is applicable on multiple surfaces. It is also an economic choice for a project on this scale. In addition, coal slags are low dust, environmentally-friendly and contain less than 0.1% of free silica, which is also safer for our blasting crew. These tanks were delivered to our main shop, which located in Kansas City, MO.  Blast It Clean has the capacity of accepting non-fixed-base projects on our work site. This offers higher flexibility for clients with medium-to-small sized projects. If you have a similar project, we strongly recommend you to fill out the contact form here and schedule a time to chat with us or give us a call at (877) 379-4233. *This image by no means represent the final product. However, it provides insight into what we do and how the process is carried out. Sign up to our mailing list to receive project insights, industrial cleaning information, free resources and our team updates.